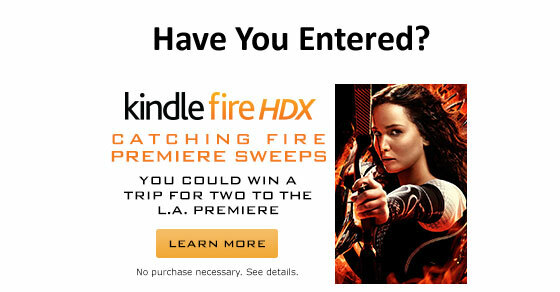 Amazon has announced a new Kindle Fire HDX Catching Fire Premiere Sweepstakes. 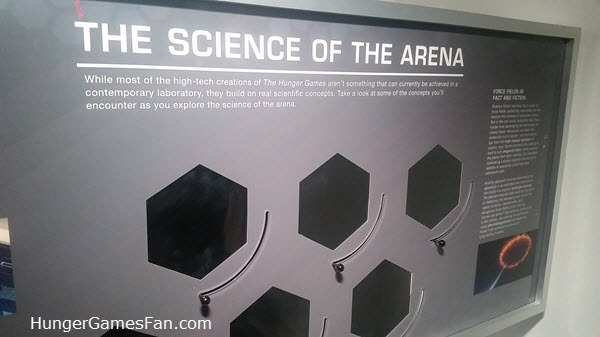 It is one of the best Hunger Games Contests that we have seen yet! 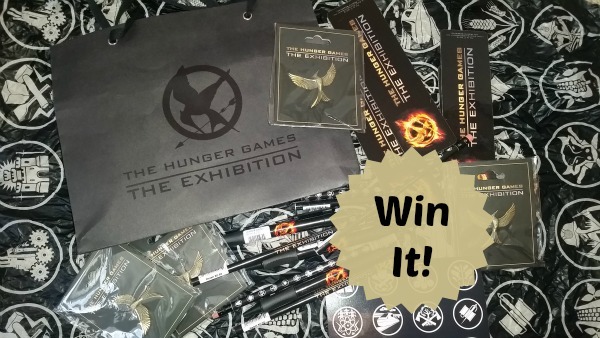 The grand prize is a trip for two people to the premiere of Hunger Games: Catching Fire in LA. 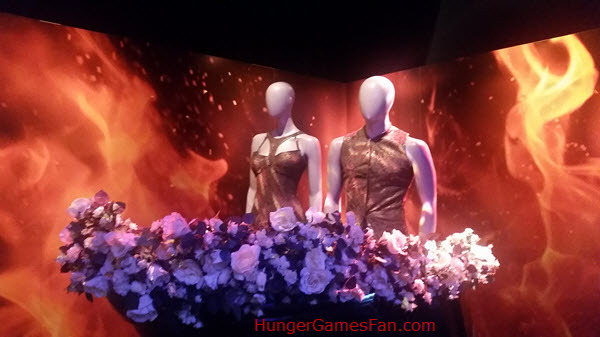 The trip includes roundtrip airfare, 3 nights hotel accomodations and 2 tickets to the premier. It also includes 2 Kindle Fire HDX Tablets. Total value almost $2500! 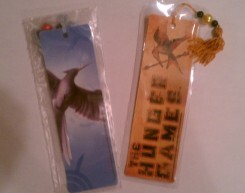 Second prize is 2 tickets to the premiere (you’ll have to get there yourself) plus 2 Kindle Fire HDX Tablets and 2 Origami Cases. Third prize is 2 Kindle Fire HDX Tablets. To enter: First you need to click through to the contest Facebook page and “Like” it.Then you will be taken to the form to fill out (which is very basic information). Sweeps ends November 7 at 11:59pm PT. Must be a legal resident of the US and 18 years or older to enter. 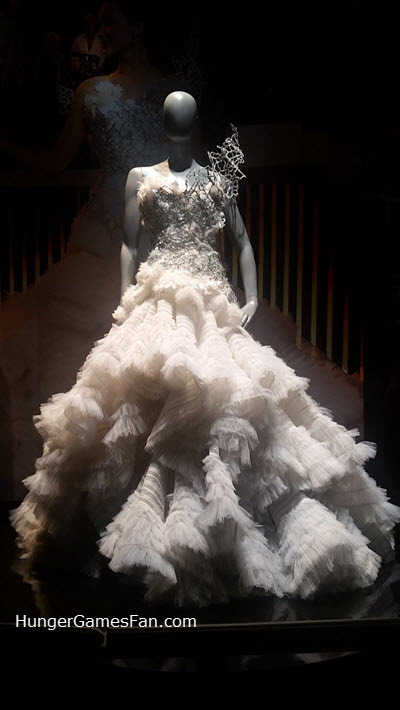 It would be terrific if one of our readers won!! 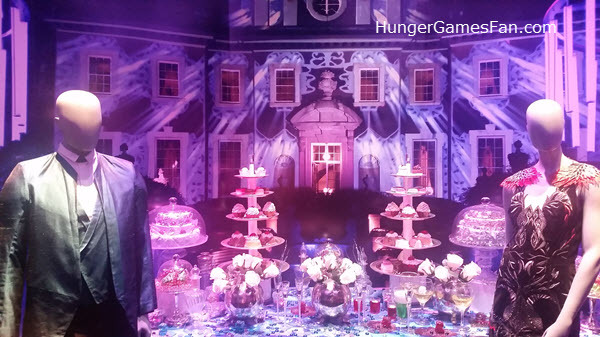 Great news for fans of both The Hunger Games and chocolate. 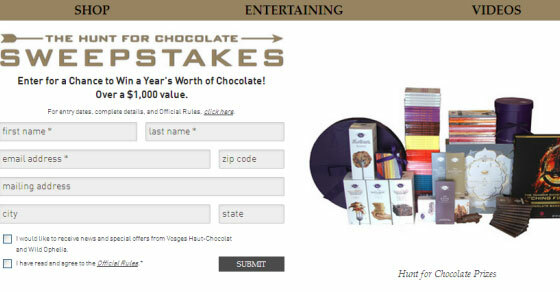 Vosges Haut-Chocolat and Wild Ophelia have partnered to offer The Hunt for Chocolate Sweepstakes. 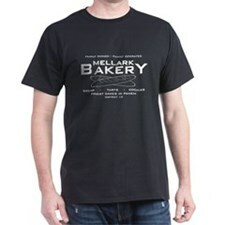 All you have to do to enter is visit the Contest Website and register with your name and email address. 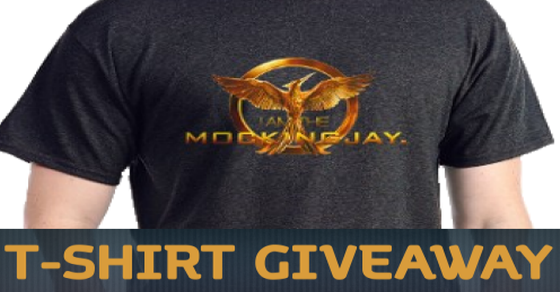 The contest ends January 31, 2014. The grand prize is worth $1000, including: 1 District Chocolate Bar, 1 Capitol Truffle Collection, 1 Katniss Chocolate Bar, 1 Effie Chocolate Bar, 1 President Snow Chocolate Bar, 1 District Chocolate Bar Gift Set, 52 Wild Ophelia Chocolate Bars, 52 Vosges Haut-Chocolat Exotic Chocolate Bars, 1 Vosges Haut-Chocolat 4 Tier Exotic Carmel Collection, 1 Vosges Haut-Chocolat Pound of Bapchi’s Carmel Toffee, 1 of each Vosges Haut-Chocolat Baking Mixes, 1 Vosges Haut-Chocolat Mini Exotic Chocolate Bar Library, 1 Vosges Haut-Chocolat Noble Pig Chocolate Bar Library and 1 Vosges Haut-Chocolat Ensemble du Chocolat. That’s a lot of chocolate! 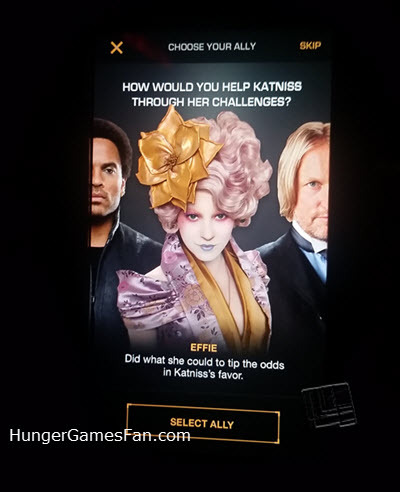 May the odds be in your favor.